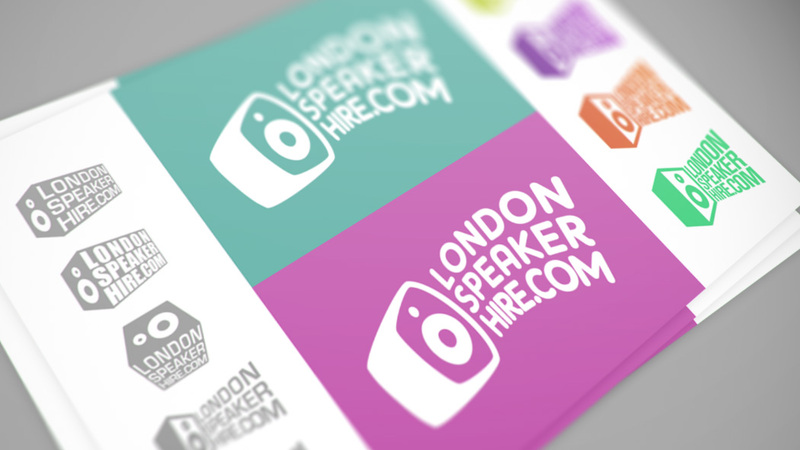 This is a short case-study on how I tackled the task of designing London Speaker Hire’s visual identity. Please read on to see the success of this particular job and how my approach could help with your project. 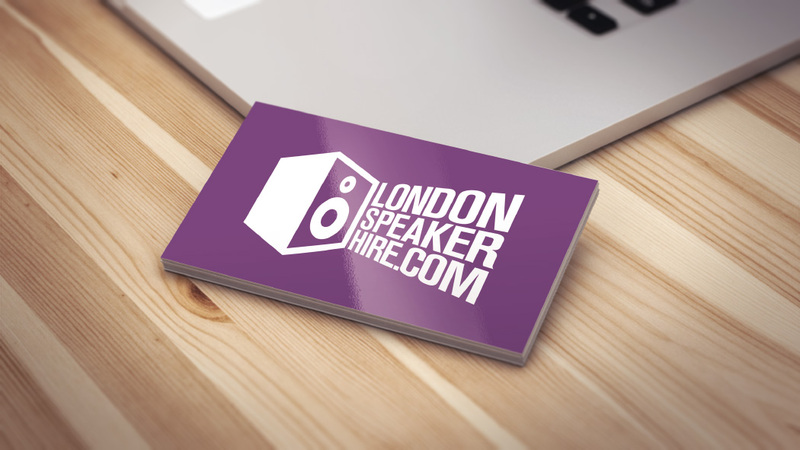 London Speaker Hire hires out, you guessed it, speakers. 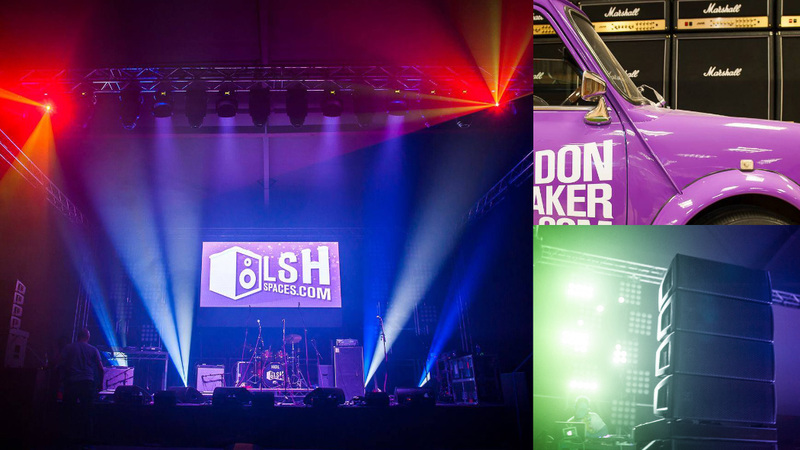 They cater for all sizes of events, from house parties to large outdoor festivals, also suppling various lighting and staging gear. Since working with them, LSH have launched several divisions of their company including LSH Spaces which are large rehearsal and production facilities based in London and Cardiff. The LSH team contracted me to create a new brand for their start-up. The overall look for the company had to be modern, fresh and professionally sharp while remaining approachable and friendly. We discussed various design approaches and decided to start off with a logo to set the tone. I began by experimenting with various forms of lettering and speaker icons, making sure that communication with LSH throughout this important early design phase was frequent and open. Feedback from the client was clear and responsive and we soon found a path that looked like it was heading in the right direction. As long as it’s not an absolute priority I like to leave the colouring of the logo until later in the design process. This insures that both the client and I are concentrating on the bare bones of the logo. Once we were happy with the form of the speaker and text, we started looking at different colour options. 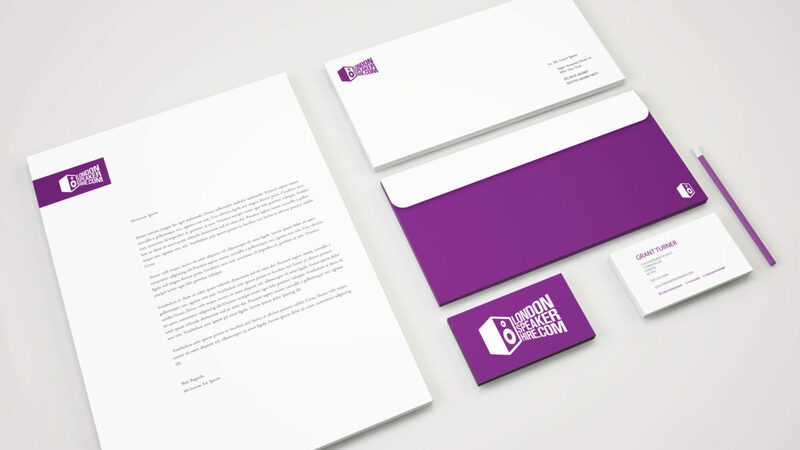 The client was looking for something vibrant and fresh and if at all possible, a unique shade for the relative industry. In the end I developed a logo that the client was really happy with. In particular they liked the concept of the text emanating from the speaker. We opted for a flat design that scales well, looks great on both printed and digital media and has a timeless quality to it. A dark magenta colour was chosen to set the brand apart from any similar competing businesses and the speaker mark can also be used as a separate icon in a variety of different design contexts.